Sahara Group chief Subrata Roy on Tuesday was produced before the Supreme Court, which extended his custody till the next hearing on March 11, 2014. Two more male directors of the company were also ordered to be taken into custody. However, company director Vandana Bhargava was spared by the Court, saying she will negotiate with Roy and other two contemnors and make an acceptable concrete proposal. A Bench headed by Justice K.S. Radhakrishnan said it was not happy with the proposal of Sahara on refund of money as “they have not come up with any concrete proposal and bank guarantee.” “You can't make payment in cash as it is contrary to law. You have to make payment through demand draft or cheque,” the court told Mr. Roy. 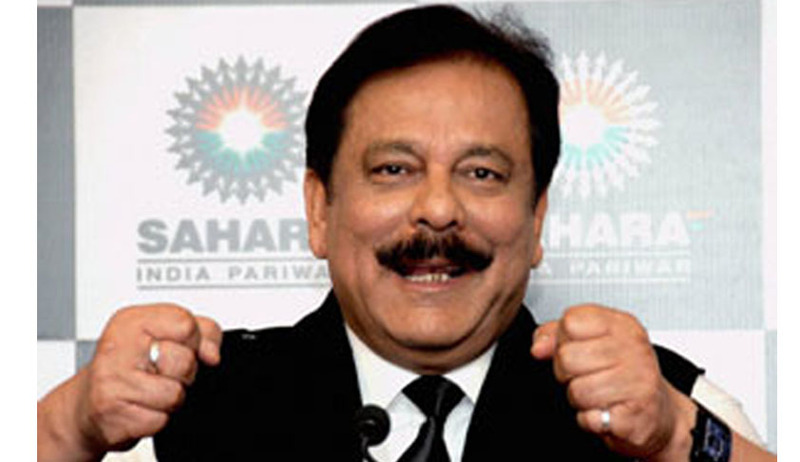 The court has asked Sahara to spell out a "concrete policy" on how it will refund almost three million small investors in two financial products that were ruled illegal. The company's offer to sell different properties to raise funds - an offer Mr Roy made again today seeking reprieve of "three-four months" - has been rejected by the Supreme Court. Earlier, Mr. Roy apologised to the Supreme Court for his failure to comply with the order to appear before it. "With folded hands, I am begging you to save us. Give us time," Mr Roy urged the court today, vowing that its "every direction" would be followed. Mr. Roy also sought more time for refunding money to investors. “I have faith in you. Punish me if I don’t comply with your order,” he told the court. “We will sell our properties to refund the amount,” Mr. Roy said. Mr. Roy was produced before the Supreme Court on Tuesday morning after being arrested in Lucknow on February 28, 2014. He was brought to New Delhi on Monday. As Mr. Roy came to the court premises in his trademark white shirt and black half-waist coat, black ink was thrown on his face by a man who identified himself as “Manoj Sharma, lawyer from Gwalior”, and started shouting that “he (Roy) is a thief and has stolen money from poor”. Immediately, Mr. Roy was escorted inside the court premises and Mr. Sharma was roughed up by lawyers and others present before being taken away by the police to Tilak Mark station. Mr. Roy, who was taken in police custody from his home in Lucknow on Friday, was brought to New Delhi as per orders of the apex court, which had issued a non-bailable warrant against him and had asked him to be presented at 2 p.m. on Tuesday.